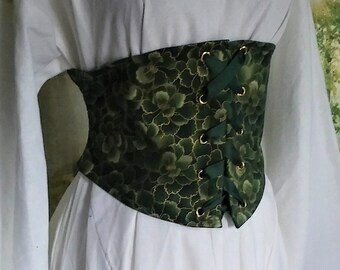 The first cropped bodice from Chicken Vicious, the Dancer's Bodice hugs the bust tightly and leaves the tummy free. Looks great when paired with a blouse or underdress, but can also be worn on its own. 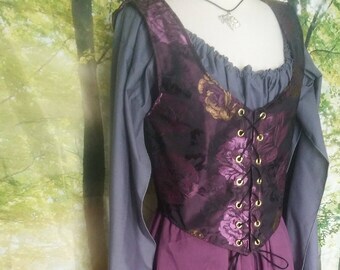 These bodices are great for belly dancers or pregnant women, or anyone who likes mobility. 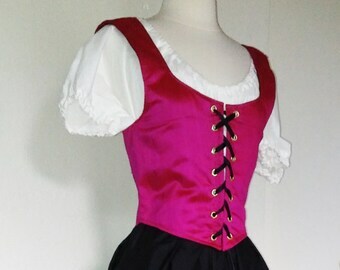 Fully lined with twill and professionally grommeted and finished. Grommets are gold. 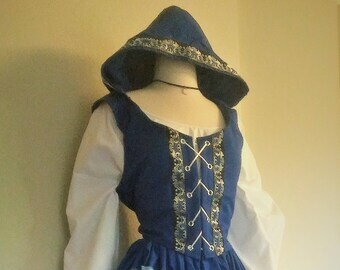 This bodice also comes with a hood for mystery and protection from sun and rain. All seams are serged or French seemed for durability and neatness. *All of my items are from an odor-free, smoke-free house. 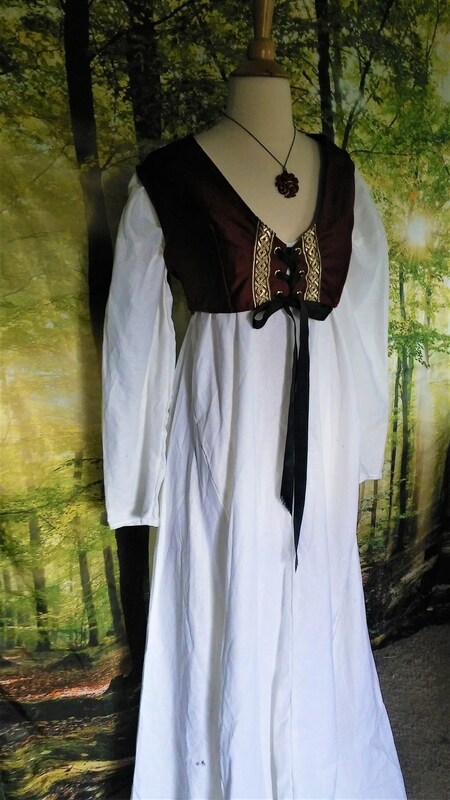 Ever received a piece of garb or costume that you can barely move in? Many costumes aren't built for you to be active in; but mine are! I build them specifically for LARPers and costumers to sweat, bend, run, and jump in. Everything in my shop is machine washable. Who wants to go to the dry cleaners right after a long weekend of looking awesome? I ship packages twice a week, so you can expect shipment within 3 days of payment. I ship US orders using Priority Mail with delivery confirmation. If you're in a hurry, just contact me to find out about overnight or rush shipping costs International orders ship via UPS. I don't issue refunds, but I do want happy customers, so please send me a message with any questions/concerns that you may have. You'll get a quick reply, and I promise I'll work really hard to be sure you're absolutely in love with your clothing! Thanks for visiting Chicken Vicious! Contact me anytime! Pieces will be wrapped together in bright green paper with a black and white bow. Please make payments within a week of purchase. Exchanges and refunds will be given if item is still in new condition. Buyer is responsible for return shipping. By default, I use USPS. Please specify if you would like another method used. 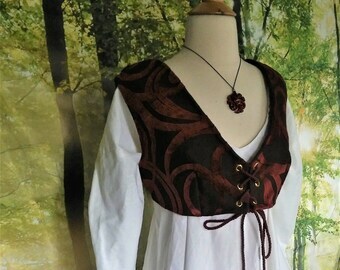 I am happy to do custom orders! If you see something in my shop that just isn't quite the right color/size/length, contact me and we'll work together to make you look good. Please remember, all sales with Chicken Vicious are final.